Newport, RI, April 2008 - From chilling with the stars in Cannes to listening to world famous opera in Tuscany - Wimco Villas, the leading provider of villa accommodation, has the answers this summer. Villa AZR 062 is perfectly located only 15 minutes from Cannes, in the village of Mougins famous for its excellent restaurants and former residents Picasso and Christian Dior. Offering an oasis for those looking to escape festival fever this wonderful and luxurious villa has recently been entirely refurbished. The villa has 5 en suite bedrooms, a lovely garden with a swimming pool and a pool house with full gym and body building equipment. Prices available upon request. Italy's 54th annual Puccini Opera Festival at the open-air theatre in Lucca takes place from 1 July to 31 August 2008 and celebrates the life of Giacomo Puccini, one of the most distinguished composers of the 20th century. The festival attracts more than 40,000 visitors each year and some of the greatest names in opera; Mario del Monaco, Guiseppe di Stefano, Luciano Pavarotti, and Jose Carreras, have all appeared at the festival in the past. 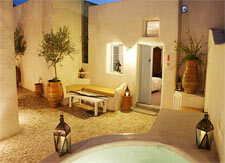 Perfect for music lovers is Villa CSL CON, available through Wimco Villas. Villa CSL CON in Lucca, is a splendid 11 bedroom Renaissance villa set in an outstanding estate of hill-terraced olive groves, cypress trees and 16th century fountains. 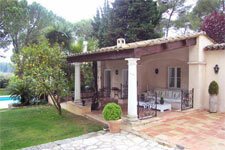 Recently restored, the property is an aristocratic home of great charm. Opera enthusiasts will appreciate the central music station, perfect for reliving the charms of La Boheme or Madama Butterfly in total comfort and privacy of your own villa. The property also boasts a private wine cellar, large swimming pool, barbeque, al fresco dining area and mountain bikes – ideal for exploring the town and neighbouring villages. From $57,798 including 7 nights accommodation, three housekeeping staff, breakfast, lunch or dinner, and chef. Optional extras include access to the villa's wine cellar and wine tasting with a professional wine sommelier; in-villa Tuscan cooking lessons; in-villa massage treatments; and a babysitting service. The Megaro Gyzi Festival 2008 on the island of Santorini, Greece, takes place from 1 to 31 August 2008 at the Hall of the Cultural Centre in Fira. A month long festival, it includes, amongst its many events, a series of concerts and an exhibition of well known local artists. Available through Wimco Villas is Villa LIV IVI. Villa LIV IVI, is in the village of Megalochori, under the church of Aghi Anargyri with its wonderful bell tower, a charming two bedroom property. Sheltered from the Cycladic winds, the traffic free village provides a peaceful and sought after alternative to the hustle and bustle of Fira and Oia – although they are only a short distance away. The romantic Villa LIV IVI once provided the villagers with a safe haven from marauding pirates who invaded the island. Villa LIV IVI boasts an outdoor courtyard with a heated Jacuzzi. From $2,950* for 7 nights accommodation, airport transfers, porter to assist with luggage, daily housekeeping, concierge service, internet access, one manual car for the duration of the stay (Hyundai Atos type with unlimited kms & 3rd party insurance) and taxes. Optional extras include private catering - catered by the restaurant 'Raki', grocery shopping & delivery, private massage, tours and helicopter or private jet transfers.